First of all, thank you for taking your time for the interview Rich. Let’s start with the basics. Could you tell us a bit more about your background and how your life led you to WordPress? How did you start to code and design? Do you have formal education related to it? And what was your first job experience? Thanks for having me Ana, it really is a pleasure. It’s fun and exciting to share a bit of who I am and what I enjoy doing. So let’s get right to it. I studied marketing and leadership in school, which led me to work with a small web agency here in Dahlonega, Georgia. Soon after joining the team, I decided to learn the ins-and-outs of front-end web design so that I would become a more efficient designer. I knew that understanding both the possibilities and limitations of web development would make me a much more valuable, and knowlegebale, designer. After I was ready to go full-time for myself, I took the plunge and as they say, the rest is history. Fast-forward six years and I’m still loving it. 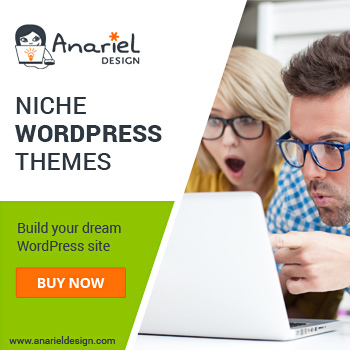 I know you develop WordPress themes. What kind of themes you build? 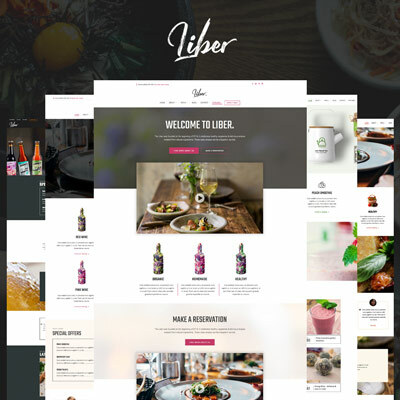 I’m keen to build WordPress themes that are incredibility simple to use, minimally fresh, and are beautiful from the very start. 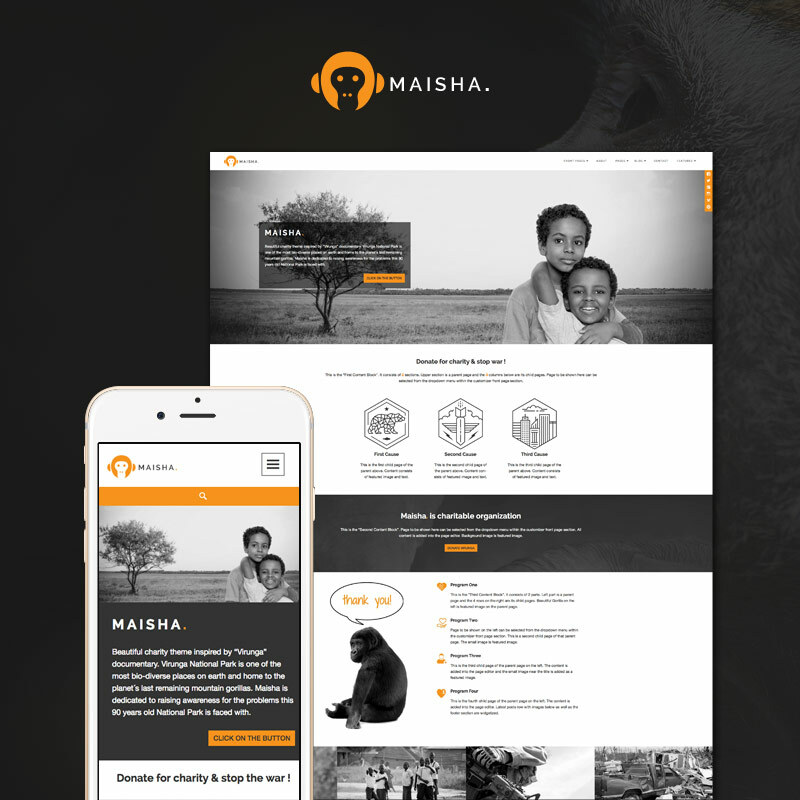 My products are not only built to look fantastic, but to also provide a brilliant site creation experience. 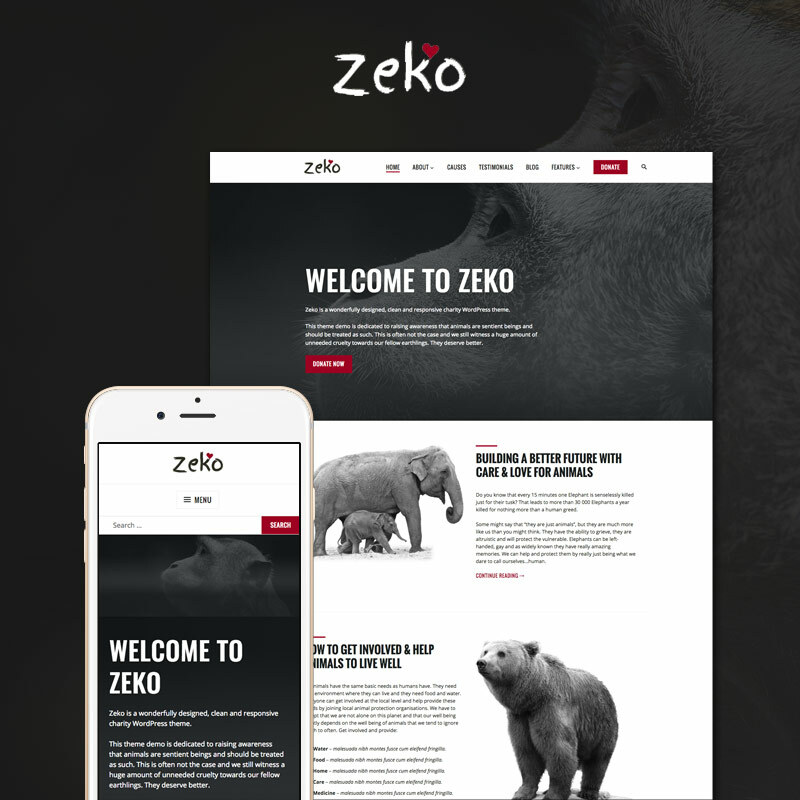 Challenging myself daily, to combine a high level of simplicity within a beautifully minimal design language – making seemingly complex WordPress themes extremely simple. Can you tell us a bit about your workflow when developing a new theme. It’s so important to research the market viability of any product you’re developing – looking for what’s selling, staying on the forefront of new trends, and keeping an eye out for new product opportunities on various marketplaces. After I find a market opportunity and nail a concept down, I’ll draft my ideas from sketches to Photoshop mockups. Next, I typically define a set of requirements based on what is 100% necessary, and then what I’d like to see. Once I’m happy with the overall direction and style of the theme, I start fresh with a starter theme of mine and get to work. I also built an efficient build task that compiles my SCSS files into the theme’s stylesheet, inserts variables (such as the theme’s name, slug, text-domain, prefixes and version number), generates translation files, and minifies stylesheets. The task even produces the installable theme zip file, ready to upload. It’s quite a time saver. What is the most challenging for you in the theme creation process? Easily the most challenging part of WordPress theme development is finishing up and knowing when it’s “ready”. I find that in the vast majority of projects, the last 20% of development takes up 80% of the total invested time. There are bugs to catch and fix, small touch-ups, improvements here and there, demos to setup, and there’s always a bit more I’d like to accomplish. Finding the delicate balance between product viability and quality is paramount – though it can be very difficult to achieve at times. How does your working day look like? You have a one year old daughter, and a new newborn. Do you have some tips on how to balance work and free time? These days, I’m typically in the office by 7:30am, coffee in hand. I already have my daily schedule prepared, detailed the day before. To capitalize on efficiency, I deploy a daily priority matrix, establishing priority tasks and secondary objectives. Regarding work vs. life, I agree fellow creative, Paul Jarvis’ thought on balancing work and life – my work is an integral part of my life. It’s something that I enjoy doing and am proud to have a part in. My work is an integral part of my life. It’s something that I enjoy doing and am proud to have a part in. By accepting my work as part of the my life, I’m able to fluidly move in-and-out of work, spending quality time when and where I want to spend it – in the office, or with my family. And in this stage of life especially, I absolutely have to make the most out of the time I spend – wherever I spend it. That means that while I’m in the office, I do my best to work at maximum efficently and when I’m with the family, I’m there – in body and mind. You are also a reviewer on ThemeForest. How did you end up working for Envato as a WordPress reviewer? Is this your dream job? Last summer, I saw that Envato was looking for WordPress reviewers, so I investigated a bit, jumped onboard, and haven’t looked back. I’am quite thankful for the opportunity to work with some of the brightest folks in the WordPress space and help to shape the framework of the premium WordPress theme industry. What advice do you have for theme authors and how do you see the future of WordPress theme business? First off, find a niche that serves an audience that you already know well. Second, if you’re building complicated WordPress themes, you will be supporting those same complicated themes – which can easily get expensive. And most importantly, don’t undervalue yourself. Undercutting yourself is absolutely the worst thing you can do for your business. People want quality WordPress themes that not only work, but work well – and they’ll pay for that. Do you think WordPress is the best CMS for the beginners? Is there any major improvement or feature you would like to see in the next WordPress releases? WordPress in itself is a well rounded solution for beginners, though I say the major hurdle folks are running into is the inherit complexity of most multipurpose WordPress themes. Even I have trouble diving into some of these themes. I’d like to see a front-end editing experience, on par with what Medium has deployed. Progress is certainly being made, though I’m particularly interested on how the front end Editing Blocks will function with page builders. Is there any theme you built that you are particularly proud of? Can you share some of the projects that you are working on? I just released a nifty WordPress theme built for WooCommerce, called Ava. It’s been a long time in the making, but I have really been pushing the boundaries of the Customizer API, building an editing/customizing experience unlike any others. You wrote the free WPThemeDoc for theme authors. How important is to have a good theme documentation? Very important! If users don’t know how to use your product and can’t find an answer in your documentation, it will inevitably cost you time, money, and most importantly energy. When you’re running a WordPress product business, support costs easily become one of the highest operating expenses. If it is not a secret, what is your marketing strategy? How well does it work for you? No secrets! There’s a bit of everything honestly. I run a variation of Adwords, Facebook and Twitter campaigns, post to gallery sites (such as The Best Designs, Awwwards, etc), utilize Buffer and Quuu and plan a steady stream of publishable content. I’m a big fan of MailChimp too. Honestly, the one of the most effective marketing strategies you can put into motion is having a solid product with fast and friendly support. Judiciously invest in yourself, your team, your products, and your customers – and you can’t loose. Is there anything you would like to change in your career? I’d like to launch a few WordPress themes into the WordPress.org theme repository, as well as on WordPress.com. I also have some plugin ideas that I’d like to entertain for a time, to see if there’s something there. 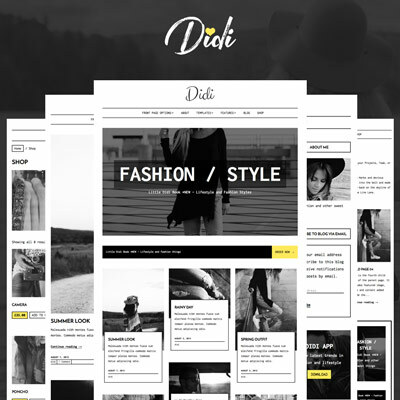 More themes and probably some premium WordPress plugins. I have some great plans in motion over at ThemeBeans to level-up my shop and set myself even further apart from the competition. The WordPress theme market is indeed saturated, but if you focus down and think differently, you’re in a position to make your mark. And I’m working on some new projects to do just that. All in all, I’m always open for opportunities and to see where God leads me on this wild adventure called life. 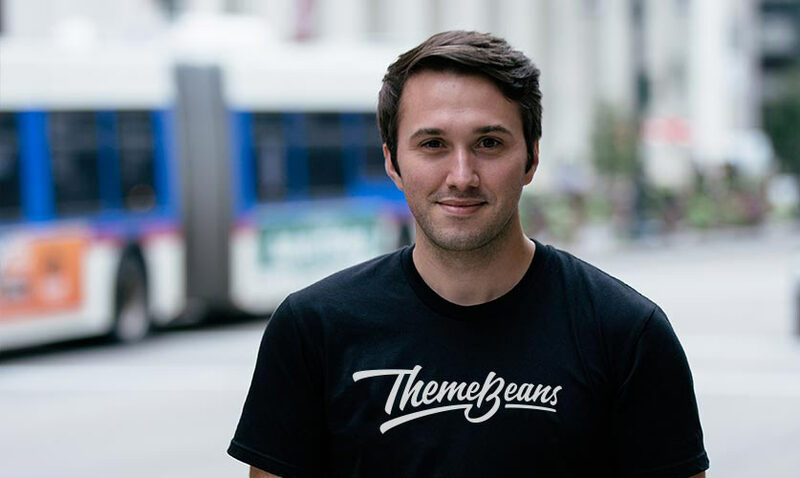 A founder at ThemeBeans. Theme Reviewer at Envato.